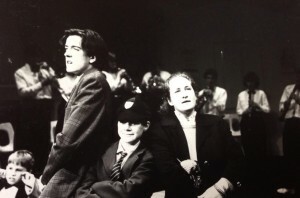 “I thoroughly enjoyed seeing Robert and Philip in the Youth Theatre play, Jane”, said my mother’s friend to my mother, one day in late April, 1991. A stunned silence, then: “What. Youth. Theatre. Play?” was mum’s reply. The play in question was Ernie’s Incredible Illucinations; mum’s response was due to the fact she and my dad had expressly forbidden my brother Phil and I to be involved in it so near to our exams. So I’m ashamed to say, we snuck out of the house anyway each evening for rehearsals and performances. In hindsight, it was an extremely irresponsible thing to do, but I did say I would be candid about these memories. Recalling memories of Chichester Festival Youth Theatre has been like re-reading a favourite book over again. And Ernie’s is my favourite chapter! As suggested above, recounting these would not be complete nor honest, if left to what we did on stage. When you have outgoing youngsters together in a theatrical environment you will always get the ‘high spirits’, and for me, these were the best bits of Ernie. 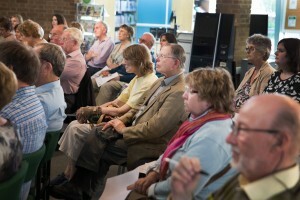 On Wednesday 25 June, 60 eager people gathered at the Library in Chichester to hear from Simon Barker, Head of English and Creative Writing at Chichester University. 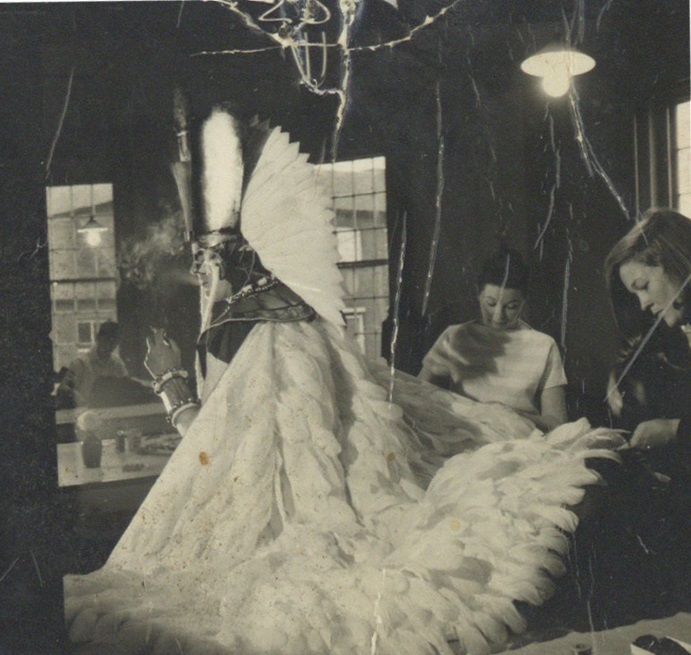 An English Professor and Theatre historian, Simon had been the first professional researcher to be granted access to the Theatre’s emerging archive and we were all looking forward to finding out what he had selected to share with us. 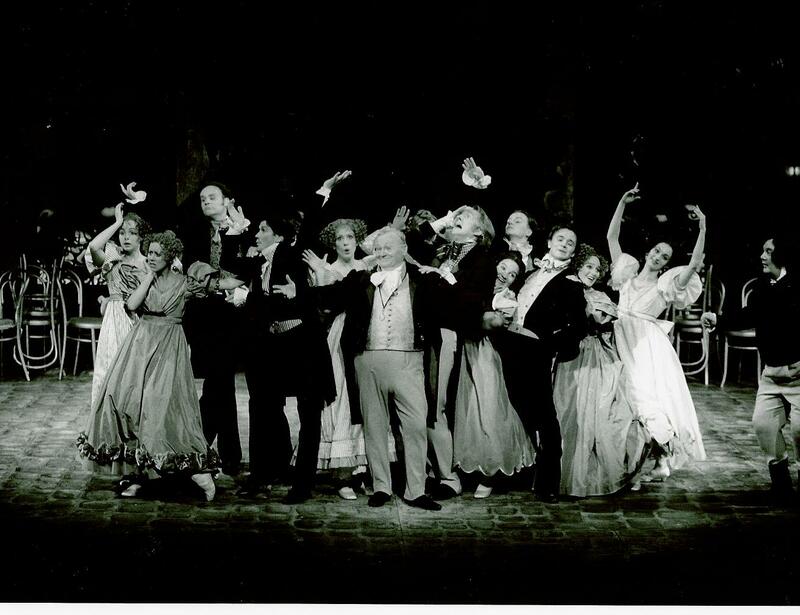 The musical has been around since the mid-nineteenth century. Since about 1866 theatregoers have been packing out auditoriums to see story, song and dance come together. Although opened in 1962, it wasn’t until 1981 that the Chichester Festival Theatre stage brought life to the musical with The Mitford Girls by Caryl Brahms and Ned Sherrin. The Mitford Girls opened to mixed reviews, some dubbing it ‘marvellous’whilst others preferred the straight acting of the plays they had become used to at their theatre. 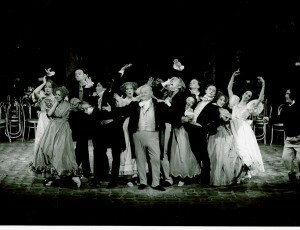 However, in 1993, the hit show of the season was Pickwick; a musical based on Dickens’Posthumous Papers of the Pickwick Club. 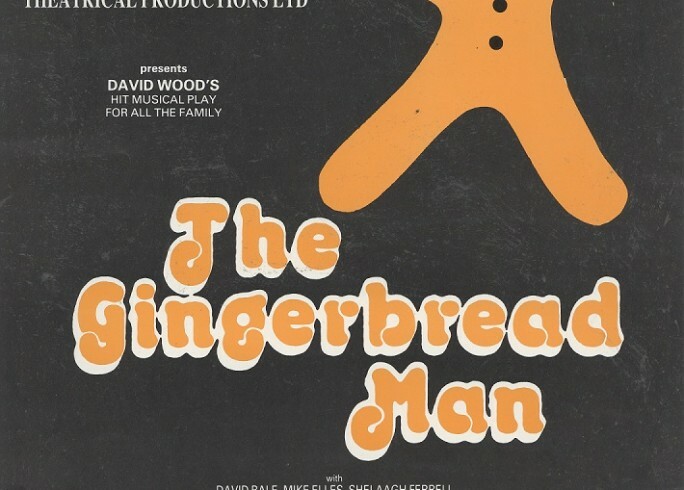 Both audience and Theatre staff adored the production and it went on to play at Sadler’s Wells, London.